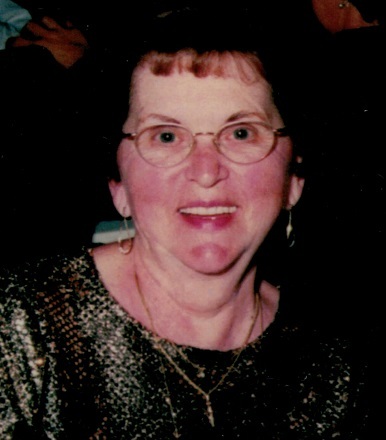 Janet Audrey Sutton passed away peacefully on October 19, 2019 at the age of 86. She was preceded in death by her husband of 64 years, Harold Sutton. Survivors include her four children and their spouses – Debby and Bill Keller, Bob Sutton, Jeff and Lori Sutton, Dann and Susan Sutton; Grandchildren and their spouses – Jacob and Tiffany Ford, Erik and Jennifer Sutton, Jenna and Tom Nash, Matt Sutton, Katie Sutton and Taylor Sutton; Great granddaughters – Aubrey and Alise Ford and Isabelle Marshall, Kynlee Marshall and Olivia Sutton. Janet was born September 13, 1932 in Sanford, ME. She was the youngest and only daughter of Roy and Gladys Davis. She had two brothers Royal Davis and Irving Davis. She met the love of her life, Harold while he was in the Navy and on leave. They were married Christmas Day 1952. Harold brought her to Kansas City where they lived and raised their family. She worked at BMA, Woolworth’s, Dillard’s and Macy’s. She was a member of D.A.V. Ernestine Schumann-Heinz Chapter No. 2 in south Kansas City. She and Harold enjoyed fishing and traveling. But her greatest pleasure was raising her four children and then babysitting her grandchildren. Cremation and private burial at a later date.